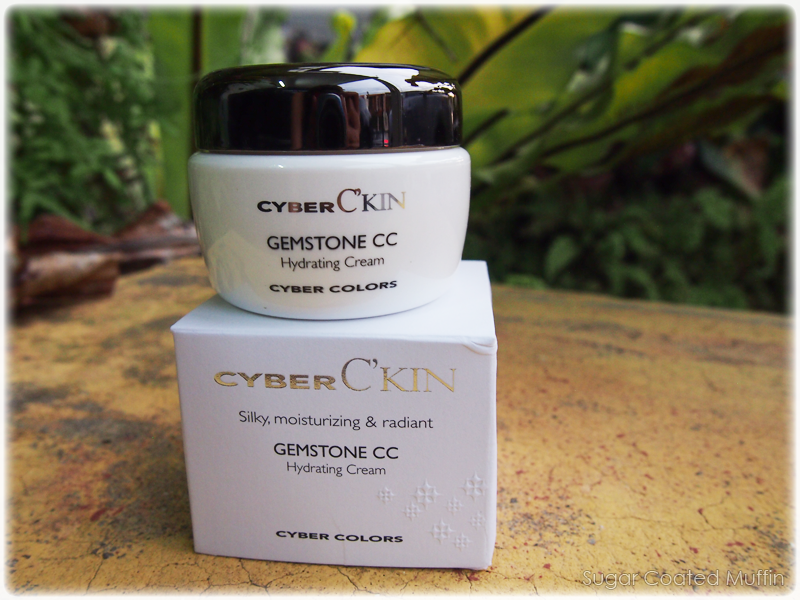 Thank you Sa Sa Malaysia for giving me the opportunity to review the Cyber C'kin Gemstone Cell Care range! You can click HERE for more info on the range. This whole range looks pretty good but the bottles are not glass so I wouldn't worry too much about toppling them over. The smell is amazing too! This range contains small pink and white capsules of radiance-boosting ingredients to supply nourishment and active ingredients deep in your skin. 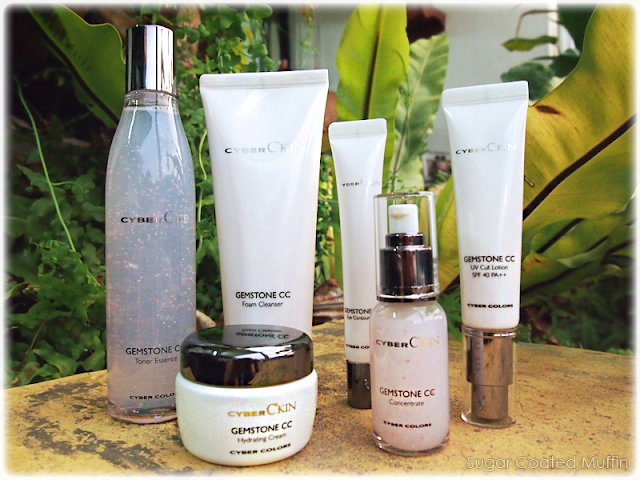 I'm sure you've heard of the wonders of pearl in skincare but what about the other 5 luxuries you can find in the Gemstone CC Range? Only thing I don't like is the twist cap but oh well.. I can live with it. 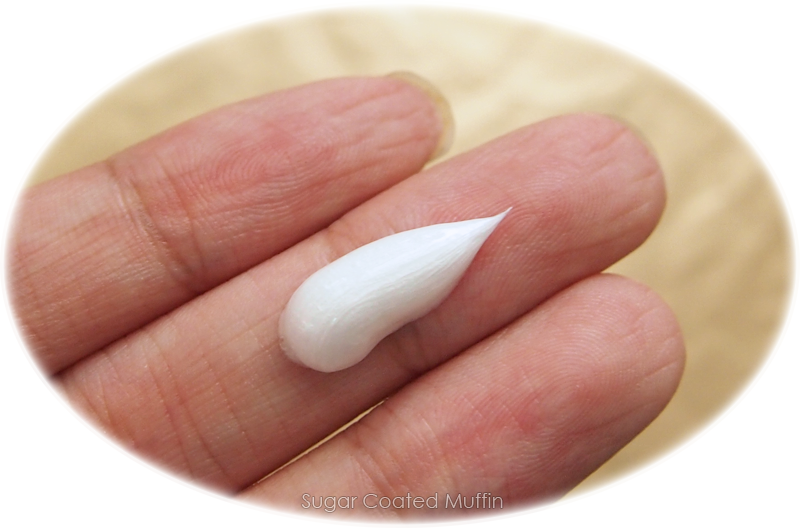 Only the tiniest bit is needed or else you might dry out your skin. Expecting this 180 ml to last me forever! Add a bit of water and voila! You get enough foam to use on your whole face. It's really quick & easy to lather. 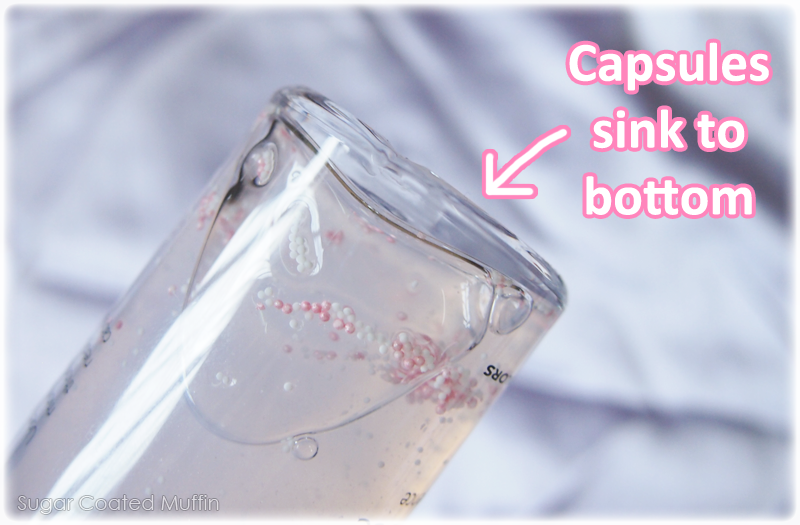 And this is the special part-the capsules! 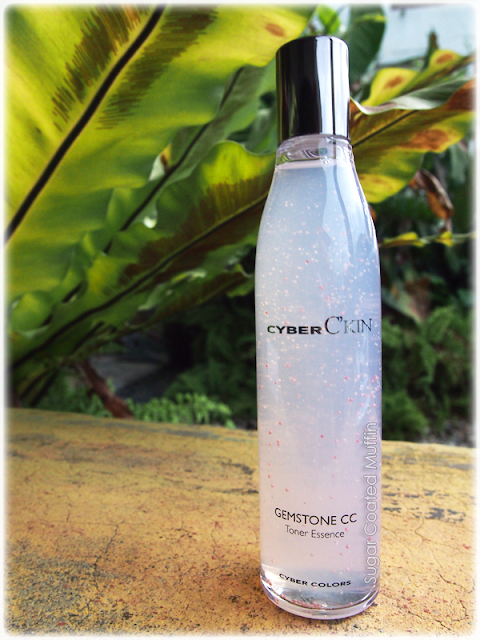 The toner bottle comes with a small opening because you don't really need much of this. After some massaging, it absorbs completely without leaving a trace. The capsules will sink to the bottom of the bottle so you have to shake it before use. 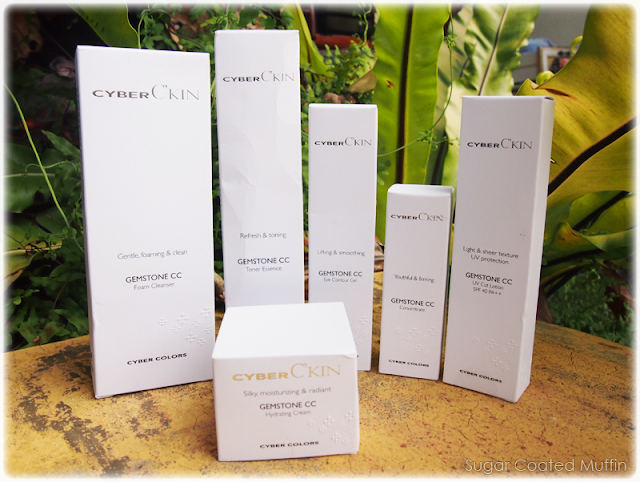 Infused with Imperata Cylindrica Root Extract, Mistletoe Leaf Extract and Hyaluronic, this essence encourages a firm, youthful and elastic quality to skin. Surprisingly, it absorbed readily into skin and feels very light despite giving enough hydration. Love the bottle too! 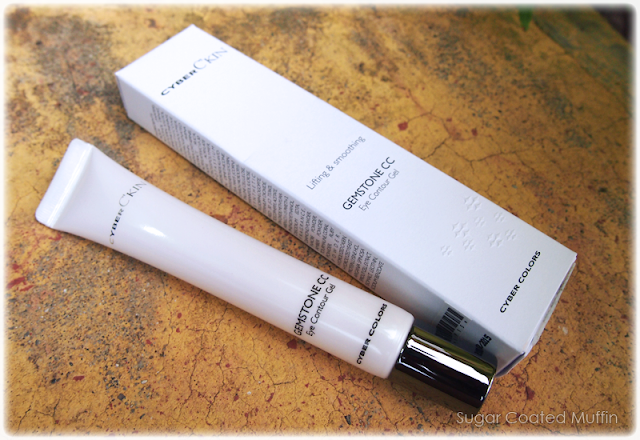 Claims to improve appearance of fine lines & wrinkles, which I did notice but it could probably be because of the dimethicone content which smoothed them. It works well under concealer and the undereye area looks smoother. 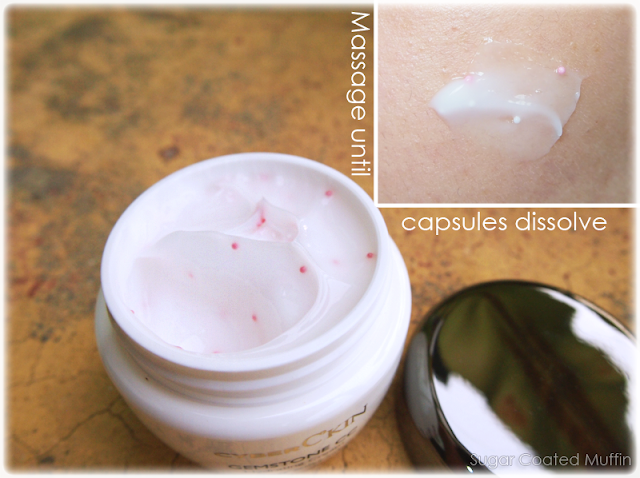 Surprisingly, this absorbs even easier than all of the above even though it's a moisturizer! My skin does feel hydrated and the products do not merely sit on skin but it feels like they moisturize the inner layers as well. 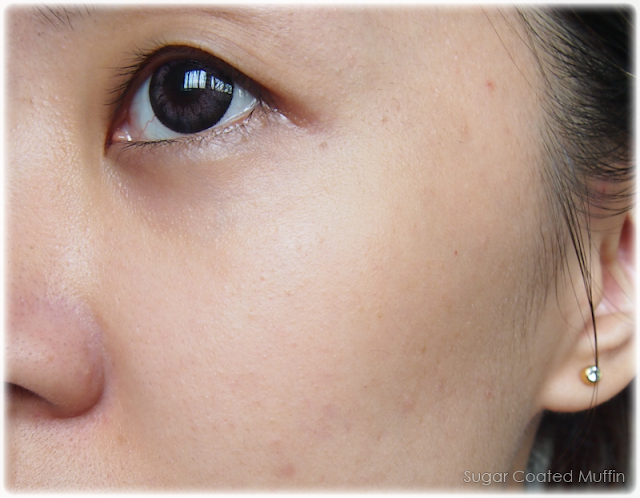 There is no greasiness or shine after application. 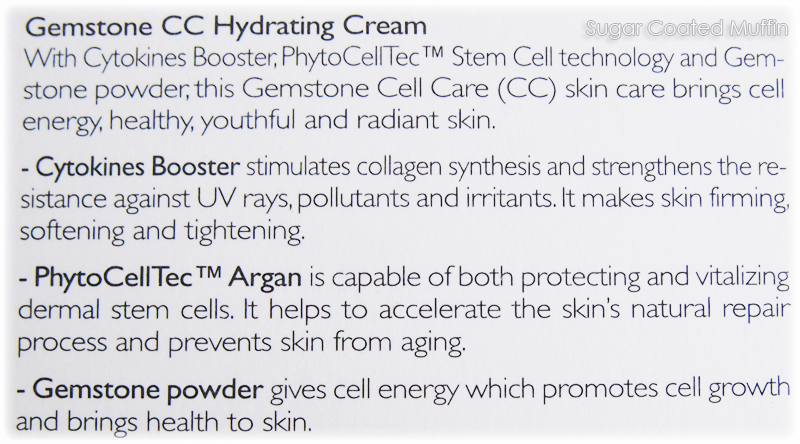 Comes in a watery texture that is hydrating. 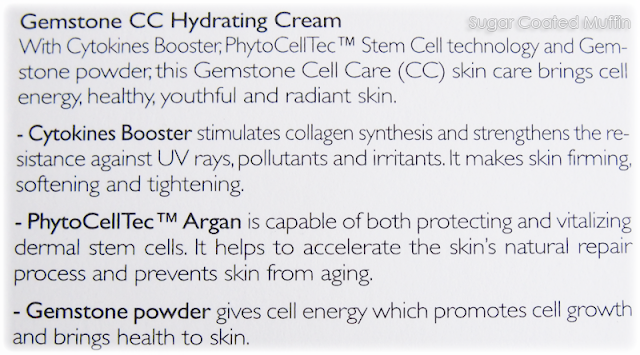 Could work as a moisturizer, makeup base and sunblock! 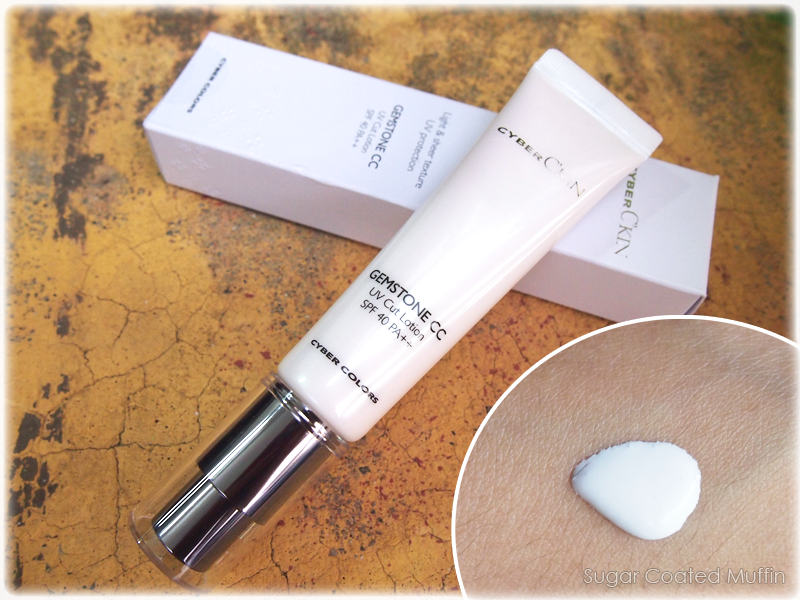 I use this instead of my oil-control sunblock on days when I'm feeling dry. It's really slim and small so I bring it around in my bag. 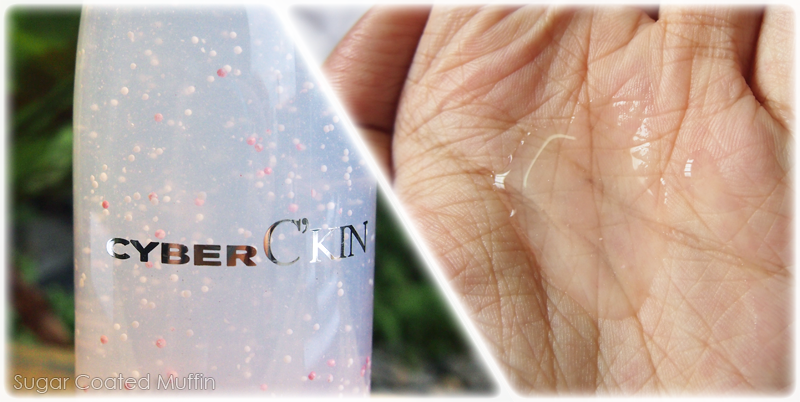 Hello hydrated-but-matte skin! Even though it isn't shiny right after application, it doesn't seem to provide oil-control. Nothing a little blot can't help though. I haven't used it long enough to see results yet but I will continue using it. 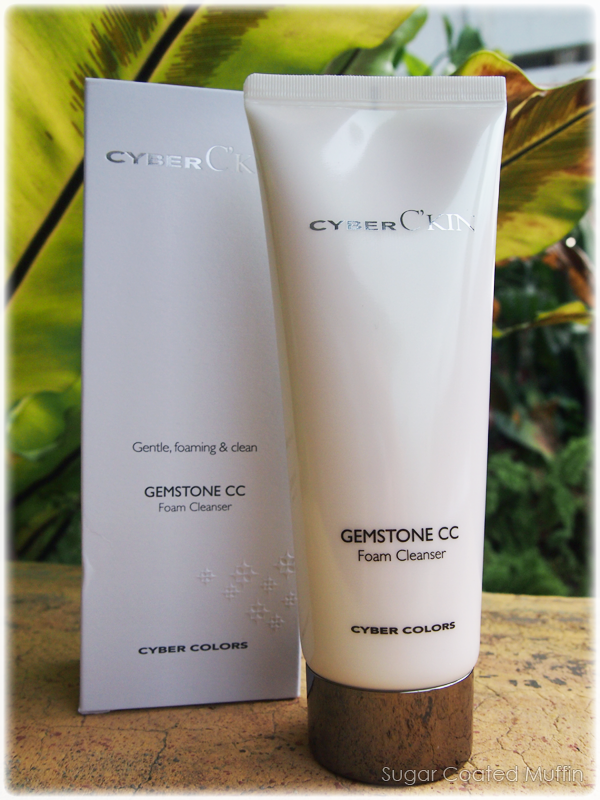 You can find the Cyber C'kin Gemstone Cell Care range at Sa Sa!